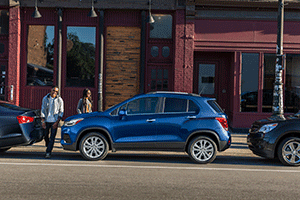 If you are a Baton Rouge car shopper looking for a sporty and fun-to-drive small SUV, you have got to see the 2017 Chevrolet Trax. This little gem of an SUV is loaded with style and sports a distinct athletic look. 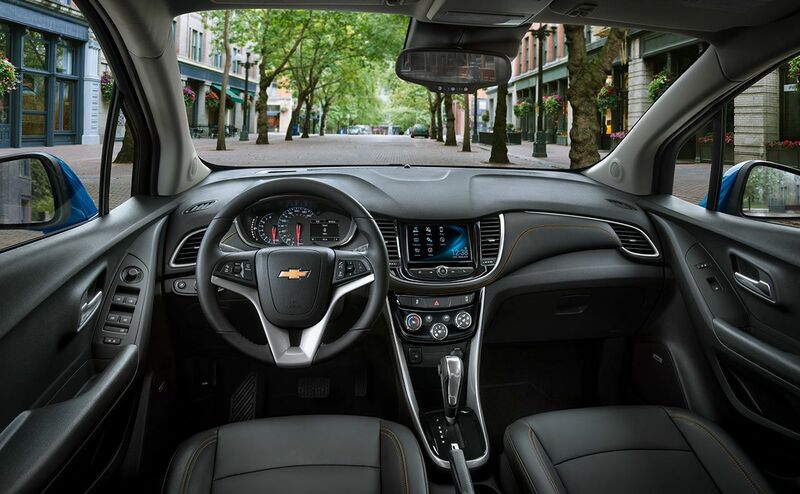 The beautiful interior is packed with the tech features and other practical elements that drivers will love. 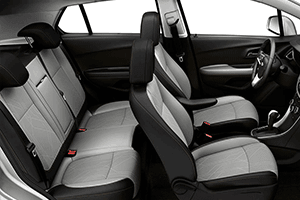 The new Trax gives you plenty of space inside, so whether you need room for people or their gear, you have got it! This small SUV also gives you the safety features you need to help you stay safe while driving. With so much to offer, the 2017 Chevrolet Trax just might be the perfect small SUV for you! 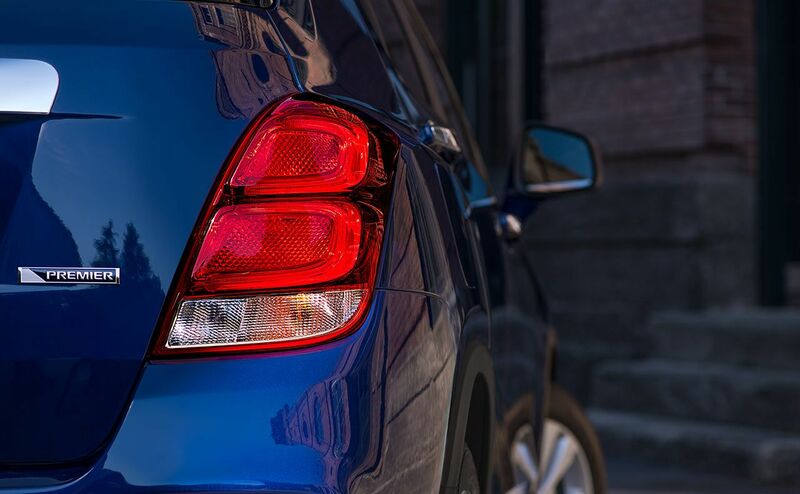 At All Star Chevrolet, we are eagerly awaiting the arrival of the new Chevrolet Trax. 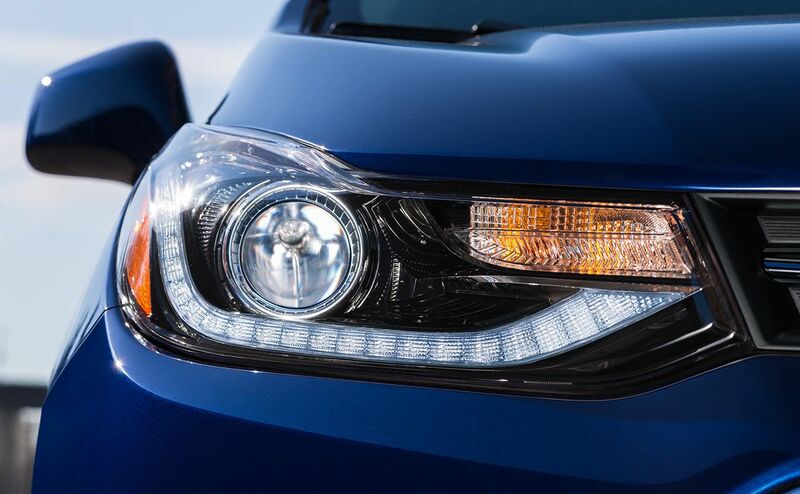 We know that many of our customers are at the edge of their seats waiting for this sporty SUV, too! If you are one of them, feel free to call us and let us know. 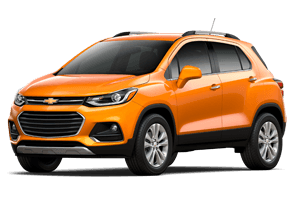 We will gladly alert you when the 2017 Chevy Trax becomes available in our inventory. 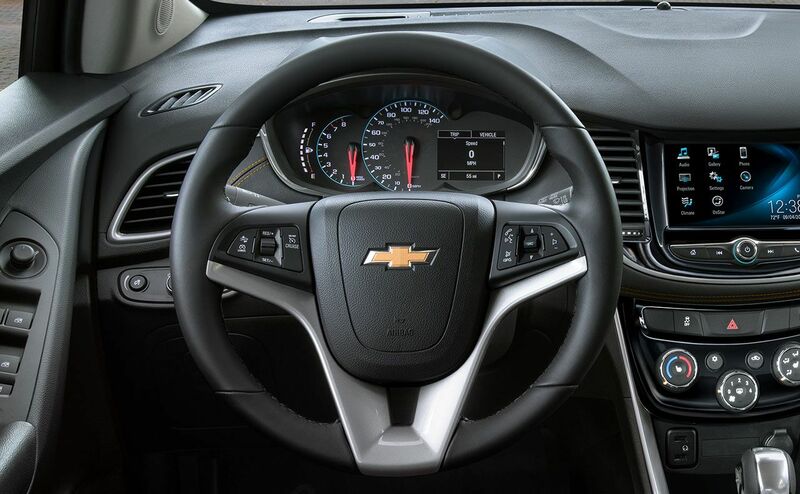 In the meantime, feel free to browse our current inventory of new Chevrolet models on our website. We all know that there's no substitute for defensive driving if you want to remain safe on the road. 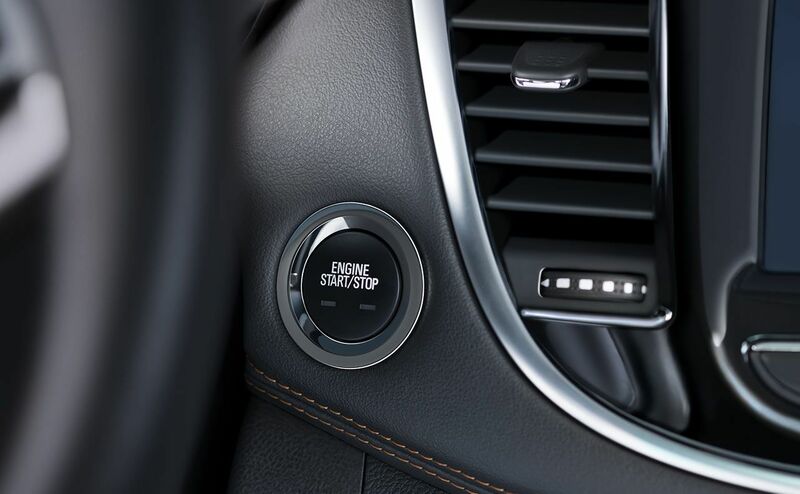 But it's also helpful when the vehicle you drive offers the latest in safety features. 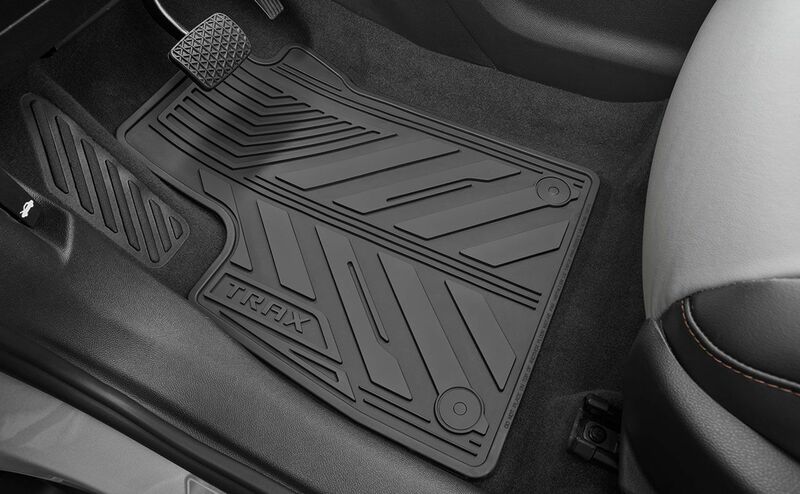 When you purchase or lease a 2017 Chevy Trax, you get some fantastic standard safety equipment. 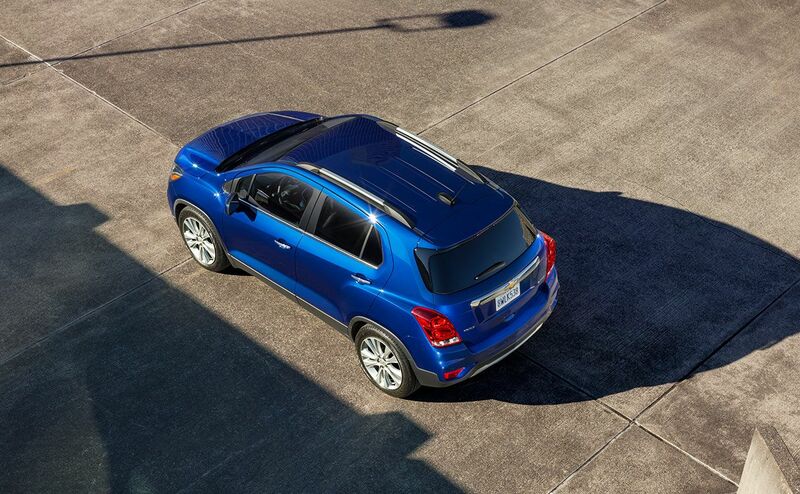 The new Trax is built with high-strength steel to help it maintain its integrity during a collision. Add to that the SUV's ten standard airbags and you get even more peace of mind. 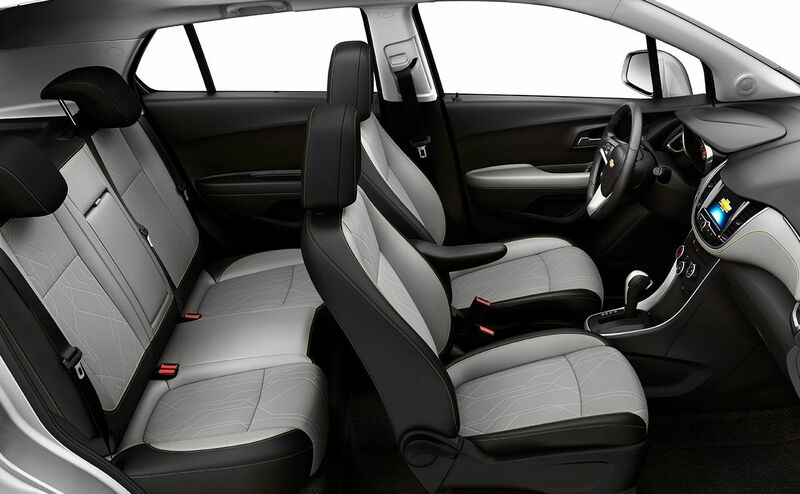 Chevrolet's Trax gives you great all-around protection by providing side-impact airbags for rear-seat passengers as well as airbags to protect the driver and front passenger. The 2017 Chevrolet Trax also offers a wide selection of optional safety equipment for drivers who want additional peace of mind. 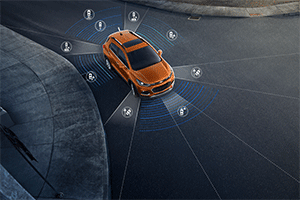 You can get an available lane departure warning system that will issue an alert if you drift out of your lane while driving at 35 miles per hour or more. You can also opt for the rear cross traffic alert system which notifies you if a car is approaching as you back up the vehicle. Finally, you can choose the optional forward collision alert. 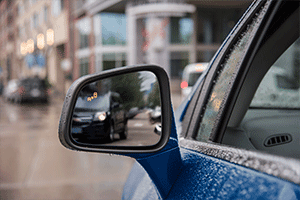 This alert lets you know when you are in close proximity of the vehicle in front of your car. If your 2017 Trax has the available OnStar® system, and you are involved in an accident, the airbag's sensors will alert an OnStar advisor. If you fail to respond to the advisor, they can locate your vehicle via the SUV's GPS technology. The same holds true if your vehicle is stolen! 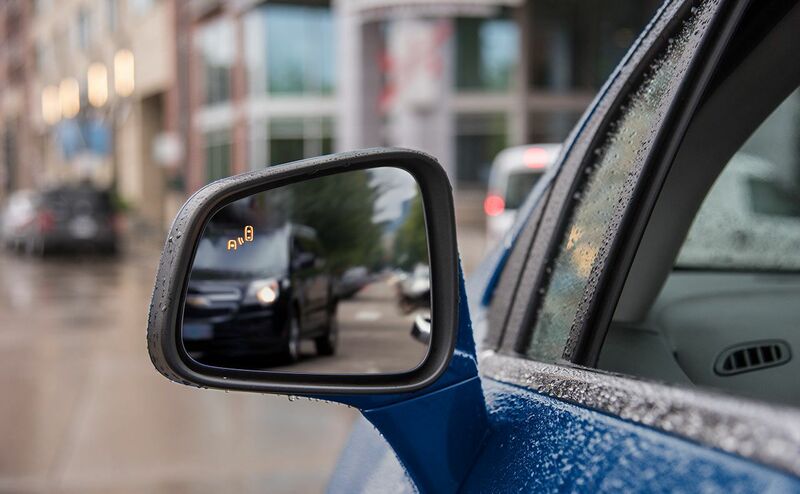 One of OnStar's advisors will be happy to locate your vehicle using the car's GPS coordinates. 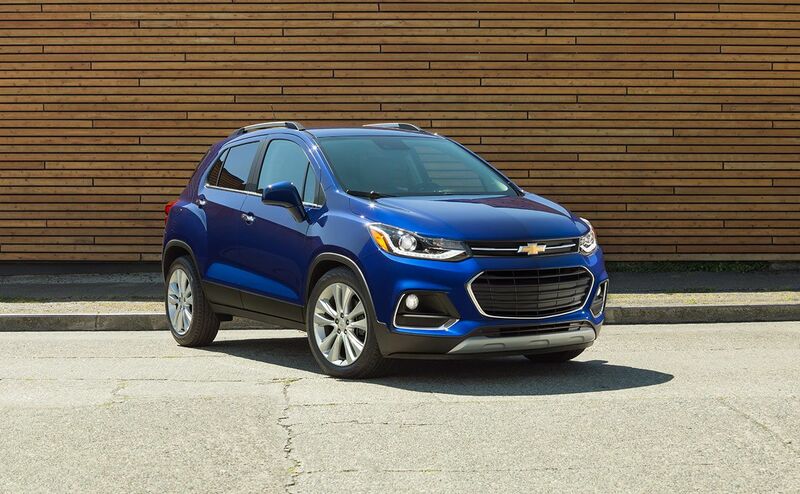 The 2017 Chevrolet Trax gets attention with its athletic, sporty good looks. But is has so much more to offer! This spunky SUV has a 1.4-liter, turbo-charged ECOTEC® engine that delivers incredible fuel economy! Drivers can expect to see an EPA-estimated 33 miles per gallon when driving this fuel-sipping SUV. The Trax was made to explore your city and with this kind of fuel economy, you can travel without worrying about your fuel bill. 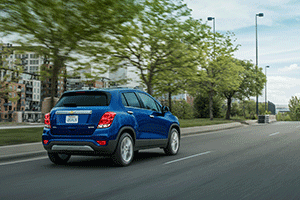 The available all wheel drive gives you road-hugging performance, so the 2017 Trax is fun to drive, too! 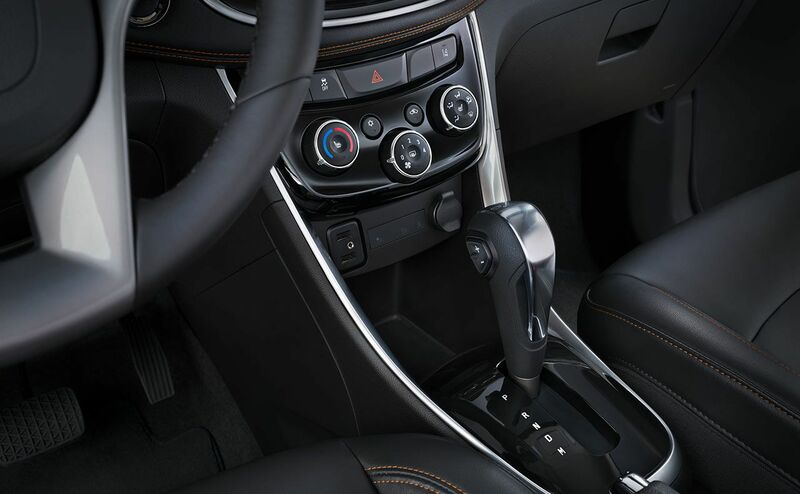 Our tech savvy customers will love all of the advanced tools and systems inside the 2017 Chevrolet Trax. This small SUV is all about keeping you connected on the road. When your Trax is equipped with OnStar, you can opt for the 4G LTE connection. 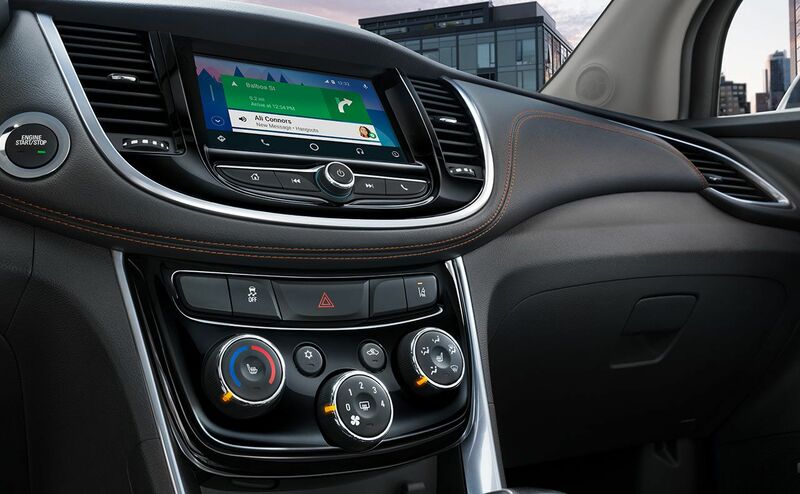 The Trax also offers support for Apple CarPlay™ and Android Auto, so you can connect your phone and view its features on the Trax's 7-inch diagonal touch-screen display. Get directions, use apps, play music, or make phone calls, all from the familiar interface of your phone! 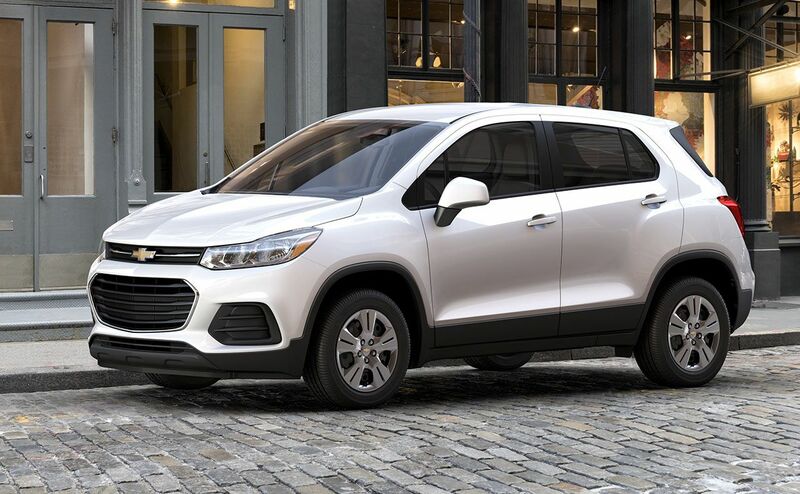 If you decide to buy or lease a 2017 Chevrolet Trax, your new vehicle will come with some of the best warranty plans in the automotive industry. Chevrolet's bumper-to-bumper warranty protection plan covers all of your car's components, bumper to bumper for 36,000 miles or 36 months. There are exclusions for parts that require regular replacement, like tires and oil. 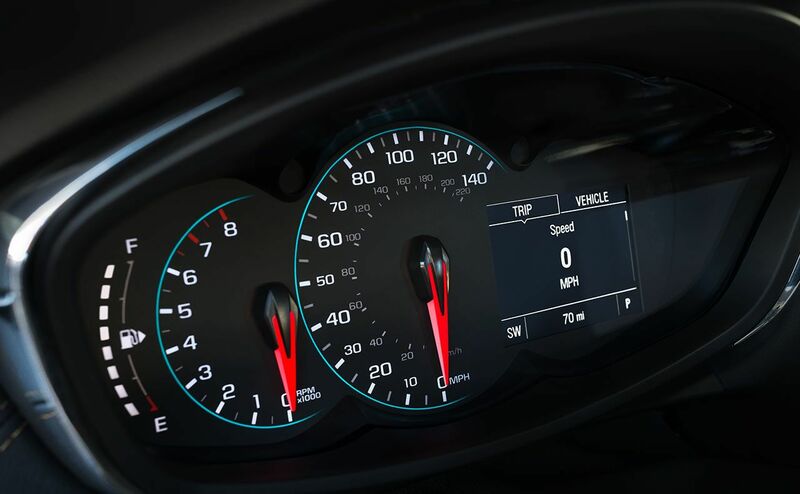 The powertrain warranty covers your vehicle for five years or 60,000 miles. This coverage protects your engine, transmission, and other powertrain parts. 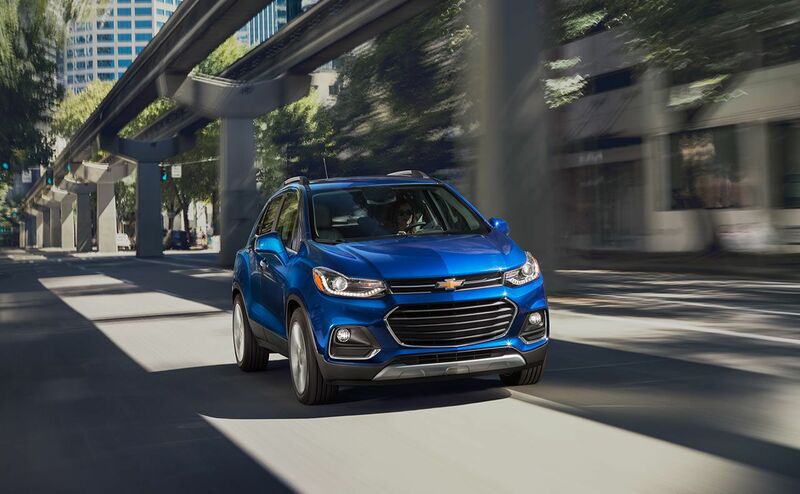 If you want to learn more about standard or optional warranty plans for your Chevy Trax, just ask one of our friendly sales representatives or chat with us online now. Don't forget to schedule service for your car with our service department! Regular maintenance helps keep your car in like-new condition! Serving Baton Rouge, Gonzales and Denham Springs, LA, All Star Chevrolet wants to invite you to come in to our Chevrolet dealership today. Our sales representatives are always ready to talk to you about the latest Chevrolet models, including the hot new Chevy Trax. We can show you all of our in-stock vehicles, or we can let you know when the 2017 Trax arrives in our new car showroom. Either way, we want to hear from you today!